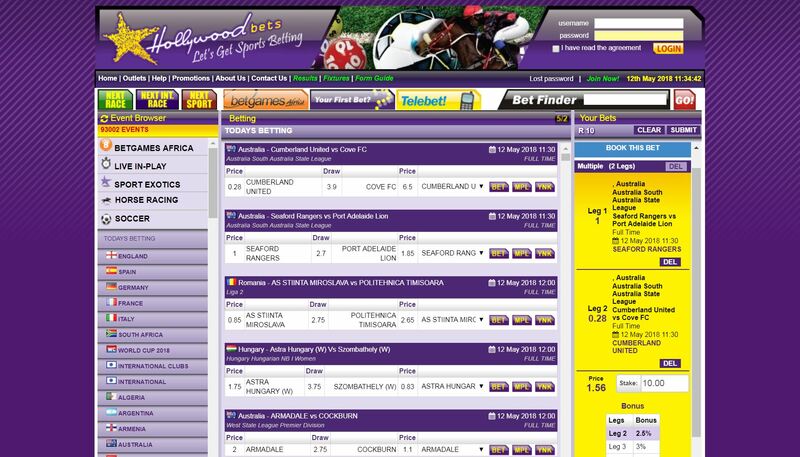 Kick off soccer season in style with Hollywoodbets! You could win yourself one of three Nissan NP200 Bakkies, 10 cash prizes or 10 all-expenses-paid trips to various locations around Mzansi. To enter, simply play R30 or more on soccer online and SMS “Million” and your ID / passport number to 45294 and all your bets for that day will be entered. For bets taken in-store, dial *120*46559*1*ticketnumber#. 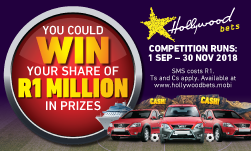 Win up to R1 million with Hollywoodbets. Get R100 no deposit FICA bonus. 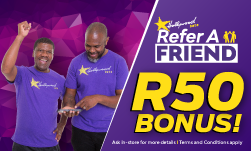 FICA your Hollywoodbets account and you will receive a R25 Bonus once your documents have been successfully submitted! For more information, contact our helpline on 087 353 7634.